Today I’m teaming up with a few other bloggers to help raise funds for our favorite charity to help support hurricane relief in Houston. 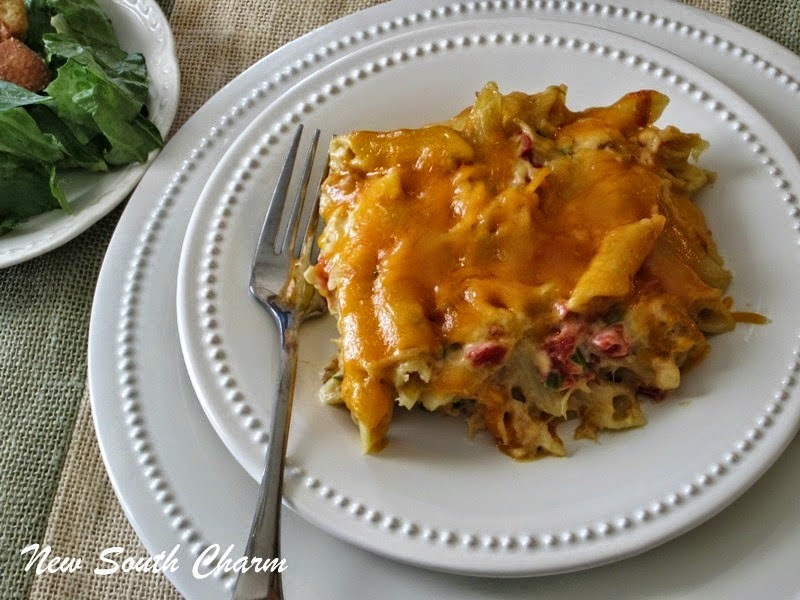 Each blogger selected a Texas style or Texas inspired recipe to post today. For me it’s impossible to think about Texas and not think about cowboys. Both the cowboys in boots and the Cowboys in cleats. The relief organization I’m supporting is the United Methodist Committee on Relief (UMCOR). This organization is amazing and they offer assistance for everything from providing meals to helping with the labor of rebuilding damaged homes. And, unlike other national organizations 100% of the money you give to them goes to victim assistance. I’ll let you know at the end of the post how you can donate to this group. 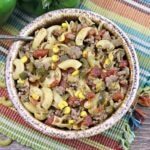 When I was younger my mother used to make this Cowboy Goulash it was always one of my favorites. 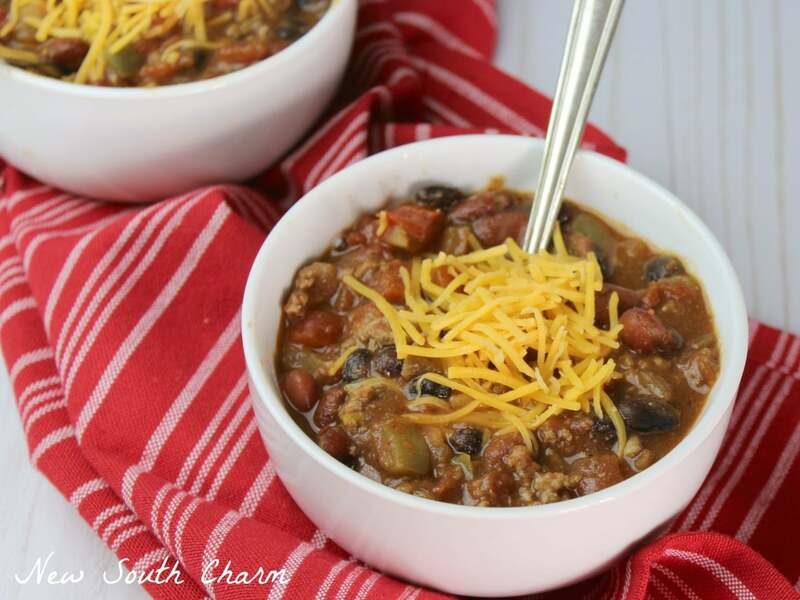 It has remained one of my favorite comfort foods since childhood. In college I made it for friends and sorority sisters before a big cram session for midterms and finals. Over the years I’ve changed a couple things in this recipe. I’ve added the jalapeño and Ro-Tel to give it a little kick. I added the Worcestershire sauce to give the recipe a little bit of a smokey flavor. I think adding these three things have really given this recipe more of a Tex-Mex feel. Now as I said at the beginning of this post I I’m teaming up with a few other food bloggers to help raise awareness and funds for Hurricane Harvey Relief. If you’d like to learn more about UMCOR or make a donation of any size just click the link below. It’s really easy and remember 100% of your donation goes to people in need. Thanks!! Remember 100% of your gift will be used in the interest of those in need! heat until onions are transparent and tender. Drain noodles and return to large pot. Simmer on low for 20-25 minutes to allow flavors to mix together. Thanks for sharing this at What’d You Do This Weekend. Have a good week. This reminds me of my childhood. My mom had a similar recipe except she used beef roast. Love it:) Will definitely make for my kiddos as we always enjoyed it! 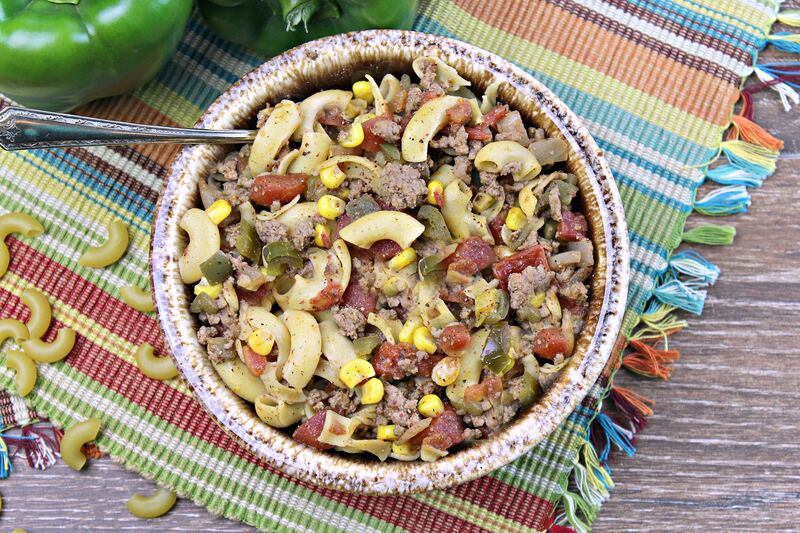 We will love your Cowboy Goulash, this is our kind of food! Thanks so much for sharing with Full Plate Thursday and have a great weekend! 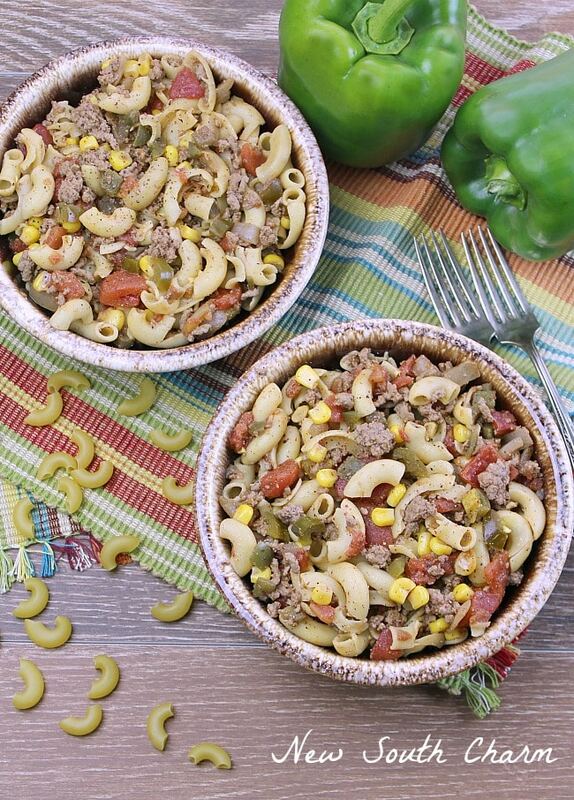 This is similar to the goulash my mom used to make. Mmmm, yummy memories! Thanks for sharing! do you add any seasonings? salt, pepper, chili powder or anything? I have all the ingredients and just noticed no seasonings are mentioned.